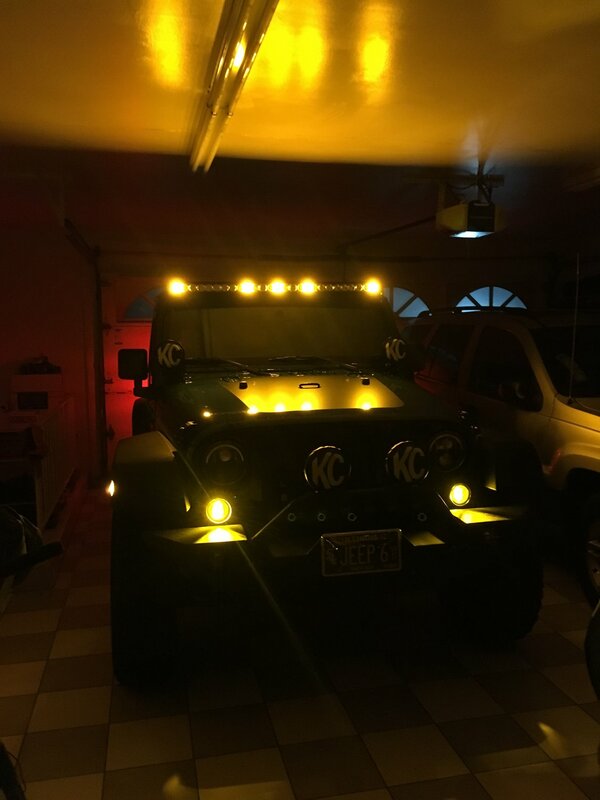 More than a powerful 18,000 lumens off road light bar! 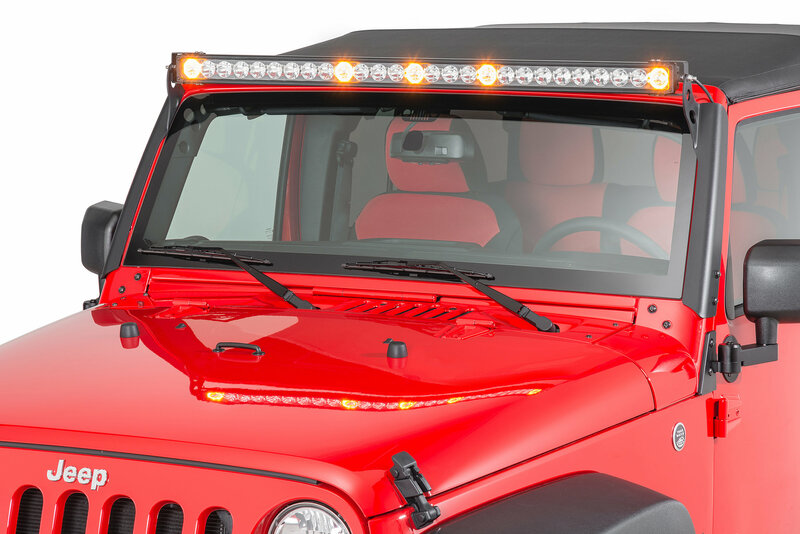 The all-new 270 watt Patent Pending J5 LED Light Bar features five integrated amber clearance cab lights that are illuminated by your parking light switch. The fact is that overhead, forward lighting should not be turned on while driving on public roads. Not anymore, the built in marker lights on our J5’s LED Light Bar feature amber halo rings to mark the vehicle’s width and the presence of a wide and tall vehicle. The dual purpose feature provides twice the utility and double the “cool factor”. The J5 Light Bar is powered by 27 Cree LEDs comprised of fifteen 10° spot beam and twelve 30° flood beam lamps. 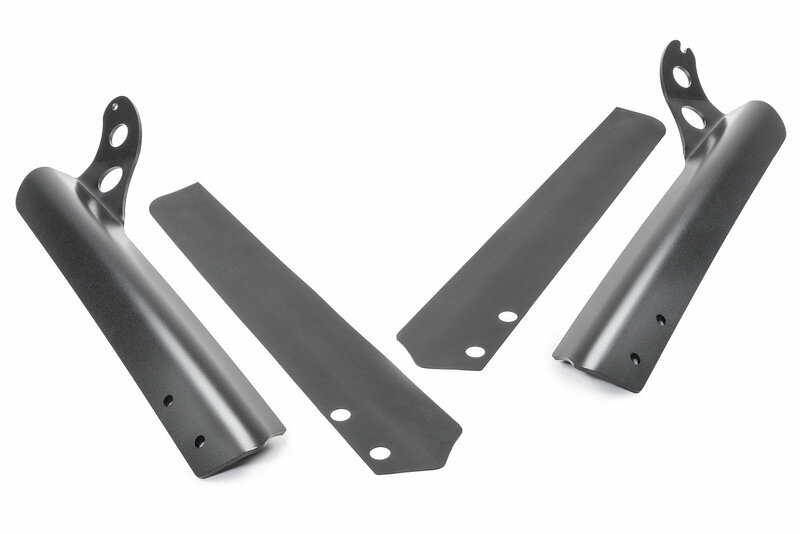 Light bar side mount brackets allow for horizontal adjustments from 50.75” - 53.5” wide. 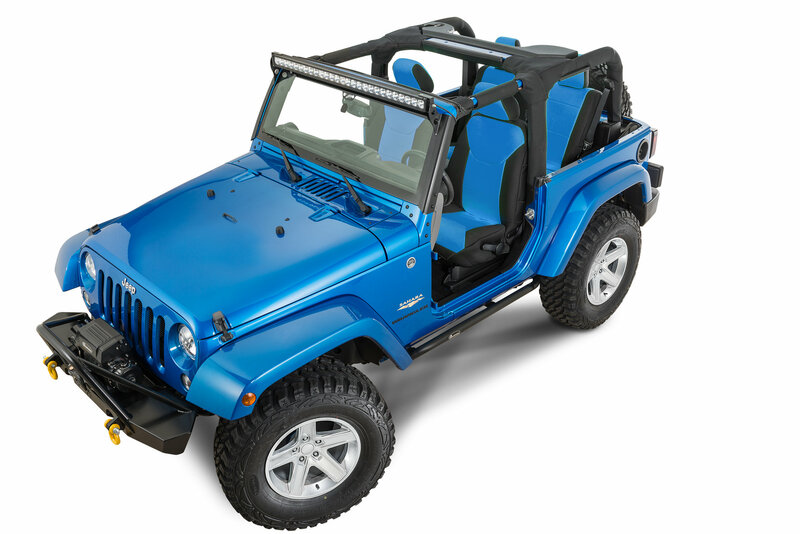 The durable, powder-coated die cast aluminum housing is built to endure aggressive off-road use and features stainless steel hardware. Assemblies have an IP67 waterproof rating and industry standard Deutsch-style connectors with weather tight seals for years of trouble free service. 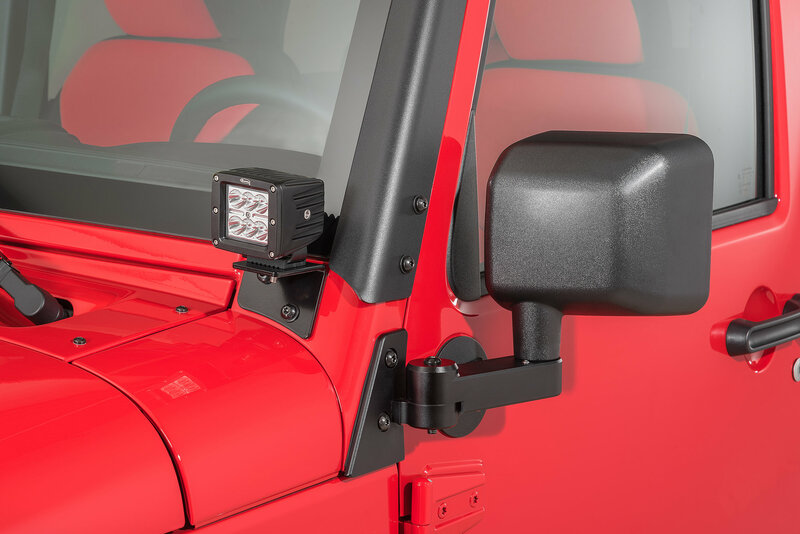 Kit includes our Deluxe Plug-N-Play wiring harness and 2 bolt style “A” Pillar mounts which allow for use with mirror movers & A-pillar brackets. 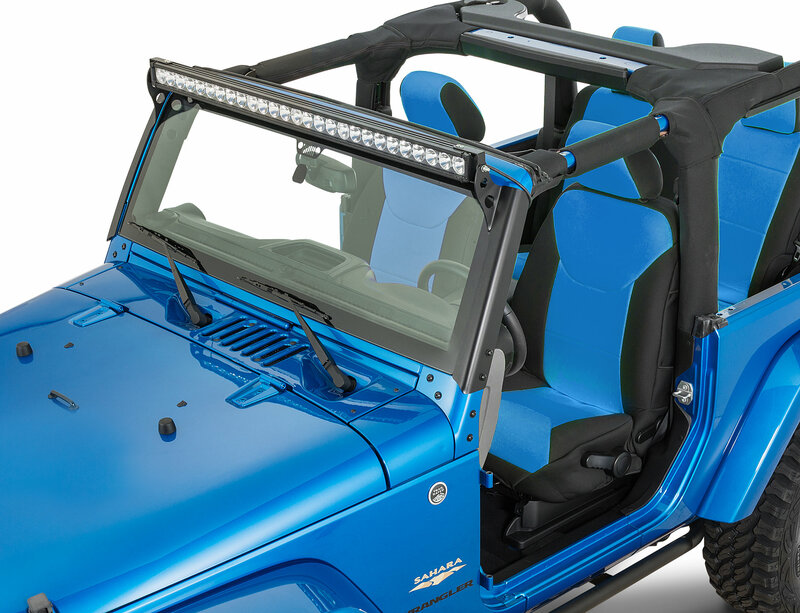 Consult your state’s motor vehicle regulations and laws for proper use and restrictions of uncovered forward facing overhead auxiliary lighting. Love the look of the J-5 and the amount of light it provides. Is anyone else having unbelievable wind flap on their soft top? I am about to remove it if I can not find a fix. Apparently this is an issue on most light bars do to air flow. Suggested fixes? 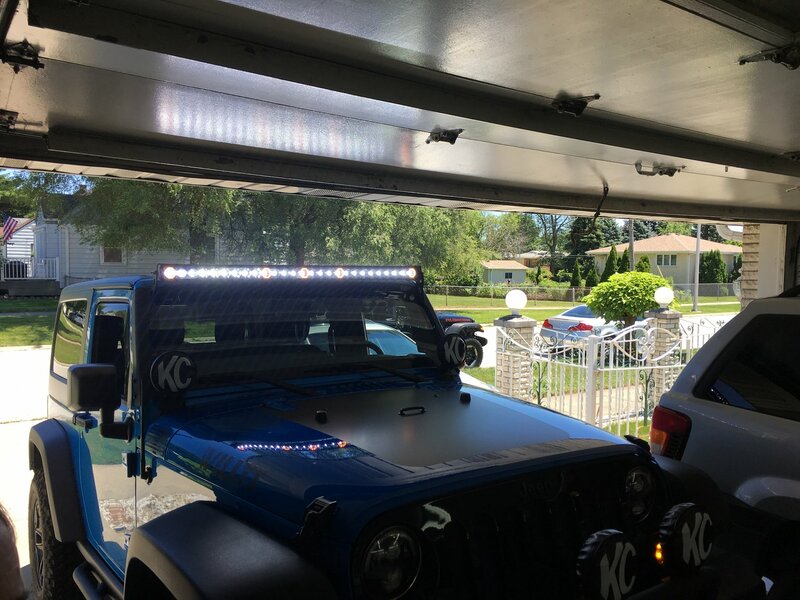 First off I love the light bar it looks outstanding and is SUPER bright but it was pretty loud on my 13 JK. 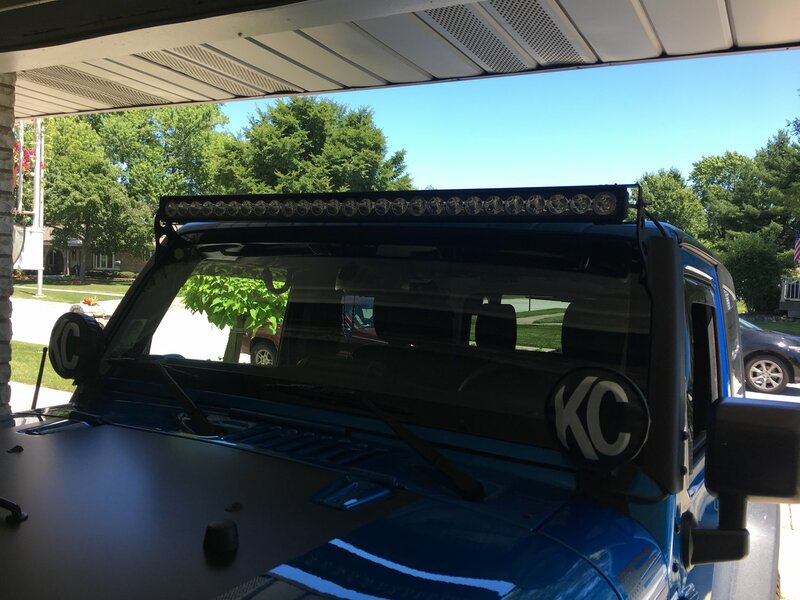 I purchased an Aerolidz light bar cover to finish off the package and like magic no noise. 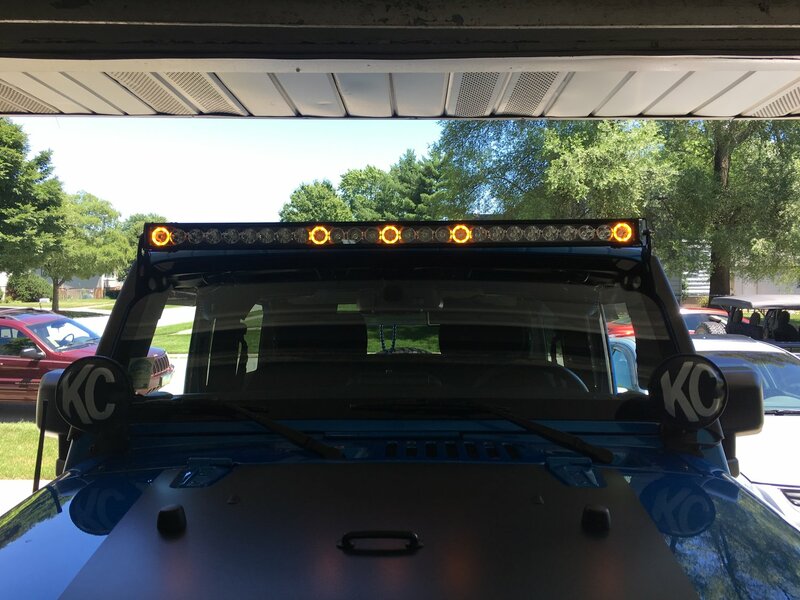 Honest review, if you're looking fo a light bar buy it, you won't regret it. My advice check out Aerolidz if you run into any noise issues, makes a great product even better. 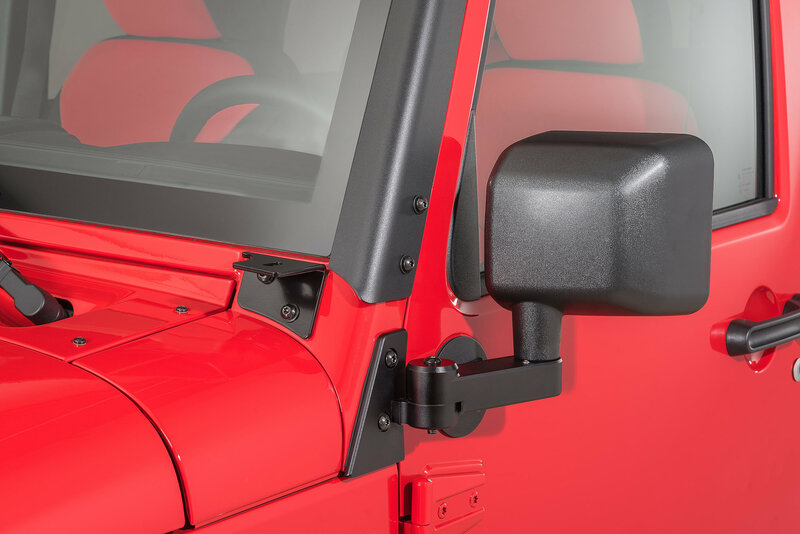 Just installed this on my 16 jk. Im gonna give this 5 stars even though i had some tweaking to do on one of the brackets. The passenger side one came with the mounting ear bent outwards and twisted as well. This made t to where the mounting bolts for the light bar wouldst even physically work because they were essentially too short due to the bent bracket. Anyway, besides that hiccup everything else was awesome. The brackets are HD with a nice finish, wiring is complete and enough length to do the job, and of course the bar itself is sweet! Love the amber markers which is the reason i got this bar over any others. Overall im very happy and would not hesitate to buy again. Also i really didn't notice any extra noise or anything which i was relieved with. Def recommended!